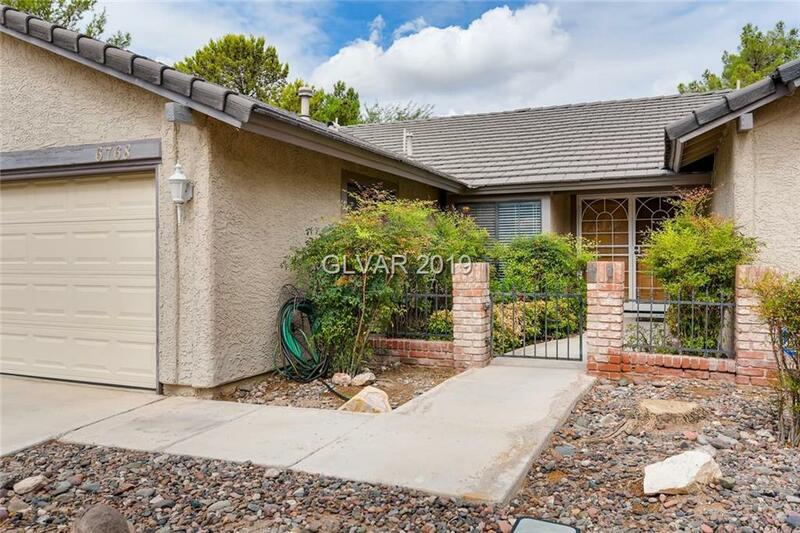 1/2 Ac lot w/lrg in ground pool, R/V Gate to long side driveway/backyard.Lovely landscaping.Master suite separate walk in closets,exterior door from mast.to pool/yard.Beautiful wood &tile flooring/no carpet.Updated kitchen.Ground mounted A/C,tile roof,3 car gar w/built in storage. Formal living/dining room w/wet bar is set up great room style.Sep Family room, Kitchen has breakfast bar.Massive back yard,full length cov patio Excellent location!! Directions: From Rainbow And Desert Inn, North On Rainbow, East On Tara, About A Block To Home, Which Is On The Left.